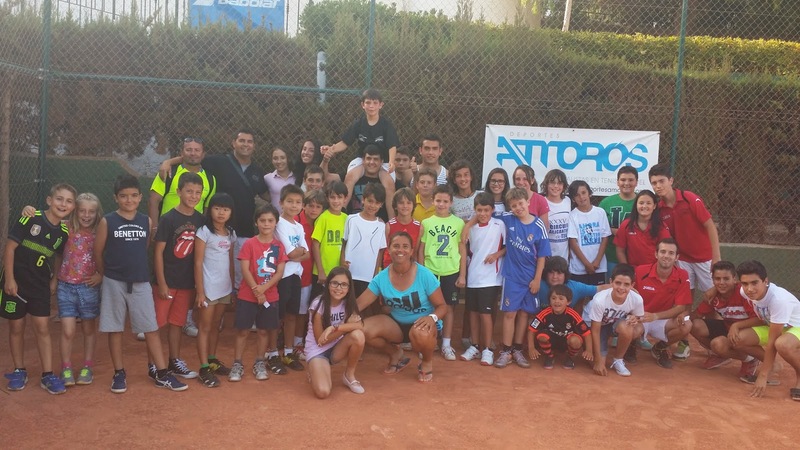 EL PASADO SABADO 7 DE JUNIO, FINALIZO EL DEPORTES AMOROSJUNIOR TOUR 2014 CON LAS FINALES DEL MASTER. QUEREMOS CELEBRAR UN AÑO MAS, QUE NUESTRA ESCUELA HA SIDO LA QUE MAS JUGADORES CLASIFICO PARA EL MASTER Y CONSIGUIO METER A 7 JUGADORES EN LAS FINALES. DESDE AQUÍ FELICITAR A TODOS NUESTROS CHICOS/AS Y ANIMARLOS A QUE SIGAN ENTRENANDO CON ILUSION Y CONSTANCIA PARA QUE NOS LLENEN DE ALEGRIAS EN SUS PARTICIPACIONES EN TORNEOS COMO ESTE.